Thats right...he sneezed all over poor Megs face! That wouldn't have been so bad if he hadn't been ill with a cold for the last week! So wouldn't you just know it but our little lady has today woken up with a small dose of the sniffles! I guess thats what happens when you have doting big brothers to watch over you! I apologise for the lack of posting this week...the men in our house have, as indicated above, been ill with bad colds. Brian is now fully well again though he did take some sick days off from work to rest; Dylan is mostly well again though it is taking a little longer for his runny nose to clear. I have a few posts drafted this week that I am working on but with Brian home this week I was barely at the computer...instead spending my time with him as I should! Hopefully though I should get them posted over the next few days! I pray that you and all your families are keeping in good health! Sorry your family has been ill. I hope all gets better soon. That is sweet of your son. 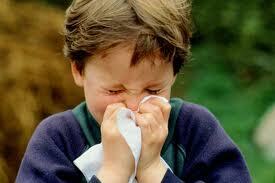 My kids pass their colds around too.